From the moment we first spoke on the phone, I knew Michelle would bring a special flair to our big day. She is so cruisey and easy going and we felt totally relaxed throughout the whole process. At the ceremony, she spoke with such passion, but also made us laugh. I can't wait for our renewal of vows when we see her next! Thanks Sarah - it was a real pleasure seeing you two gorgeous souls. Such emotion! So many laughs. Terrific fun. Thanks for having me! Any time - remember that you must fill out a Notice of Intended Marriage for the Australian Government no less than one month before your wedding. 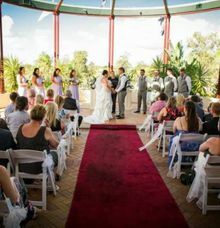 I put the WOW factor into every ceremony! Over $1030. 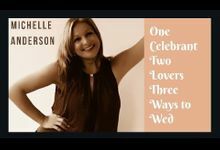 I am Australian most widely acclaimed celebrant and I'm in high demand. 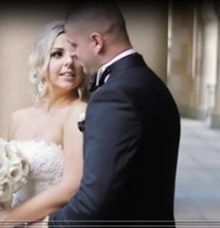 Deposit of $300 upon booking and balance due 1 month prior to the wedding date. What services do you provide ? 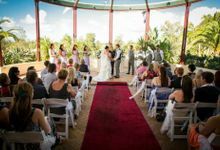 What types of weddings and events do you officiate? What religious affiliations do you serve ? On average, how long are wedding ceremonies you officiate ? I create fun, fabulous ceremonies with a strict 'no yawn' policy. 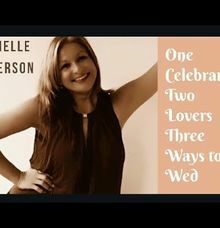 Michelle Anderson, Civil Marriage Celebrant; Exclusively uniting the coolest couples in the world. 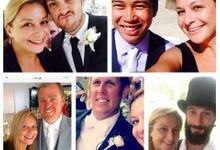 Michelle is the most publicised celebrant in the world. 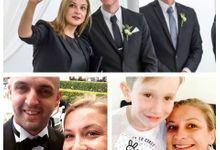 In July alone, she appeared in over 200 publications worldwide, in 15 countries and a dozen languages when she launched the 'Evermore Pledge', an interim solution to the Marriage Equality debate that made political waves. 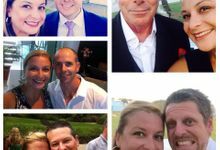 With over 400 weddings under her belt, Michelle is THE go-to girl in wedding world.